Usually international breaks are greeted with dismay, with it resulting in domestic affairs at the highest level being put on hold but times are slowly starting to change. England's fantastic World Cup campaign in Russia last summer saw them almost reach a first final since 66 and make the nation fall back in love with the team in the process. The Three Lions have made fantastic progress over the last 18 months and a huge part of that success has been Gareth Southgate. Initially a slightly underwhelming appointment, the 48 year-old has injected life and youth into the team and the results have been fantastic. The outcome of the World Cup was tough to take, but the Three Lions have since bounced back to claim their place at the UEFA Nations League Finals in June so confidence is sky high at the moment. On Friday evening they kick-off another campaign with qualification for Euro 2020 set to begin, with the Czech Republic the visitors to Wembley Stadium. It's a game that England are expected to win and Southgate has named a strong squad with a few notable additions. There's 9 players aged 24 or under which shows the number of exciting youngsters in the squad, coupled with call-ups of two uncapped debutants in Callum Hudson-Odoi and Declan Rice. The latter in particular has really impressed for his club side this year and is fully deserving of his spot in the squad, but there's still a few players who we feel that were worthy of a call-up. Three in-particular have really stood out for their sides this season and we've profiled why we think they should be in the squad below - agree with our selections? Get involved in the debate @FootyAccums. One player who has featured in the England senior set-up this season but is yet to make an official appearance is Leicester City playmaker James Maddison - who's enjoyed an impressive debut campaign in the Premier League. Big expectations were placed on his shoulders after making a £22m move from Championship side Norwich last summer and he's certainly proven that he's capable of performing at the highest level, shining in what has been an inconsistent campaign for his club side. He had big boots to fill after Riyad Mahrez made his club record departure to Manchester City and he's reacted by contributing 12 goals (6G 6A) in 28 starts - a very solid return. The 22 year-old adds guile and intelligence in the final third, whilst also being extremely capable from set pieces. His technical attributes make him stand out for the Foxes which has led to links with clubs such as Tottenham, which is a testament to the progress he's made since leaving Norwich. His stats make excellent reading and if Leicester's other attacking players were clinical in front of goal they'd be even better. No player has created more goalscoring opportunities (84) for their teammates in Europe's top 5 leagues than him which is very impressive - so it's a real surprise that he's been omitted from Southgate's squad for the upcoming games with the Czech Republic and Montenegro. The England boss has recently moved from a 3-5-2 to 4-3-3 since the World Cup which could've been a factor in leaving out the no.10, but throughout the campaign for Leicester he has proven that he's tactically versatile - playing both out wide and through the middle. Seeing Callum Hudson-Odoi get in ahead of him despite never starting a Premier League game must be frustrating but if Maddison can retain his form for the Foxes it's surely just a matter of time before he breaks back into the squad and gets his first cap. Someone who's enjoyed a magnificent break-out campaign this year is Crystal Palace youngster Aaron Wan-Bissaka, who's quietly gone about becoming one of the Premier League's most effective full-backs. The 21 year-old initially forced his way into Roy Hodgson's first team plans at the back-end of last season and he's since become one of the first names on the teamsheet, delivering some imperious performances far beyond his tender years. Similar to Maddison, his exploits haven't gone unnoticed and it's even resulted in him being linked with the likes of Manchester United which shows just how rapid his rise has been. 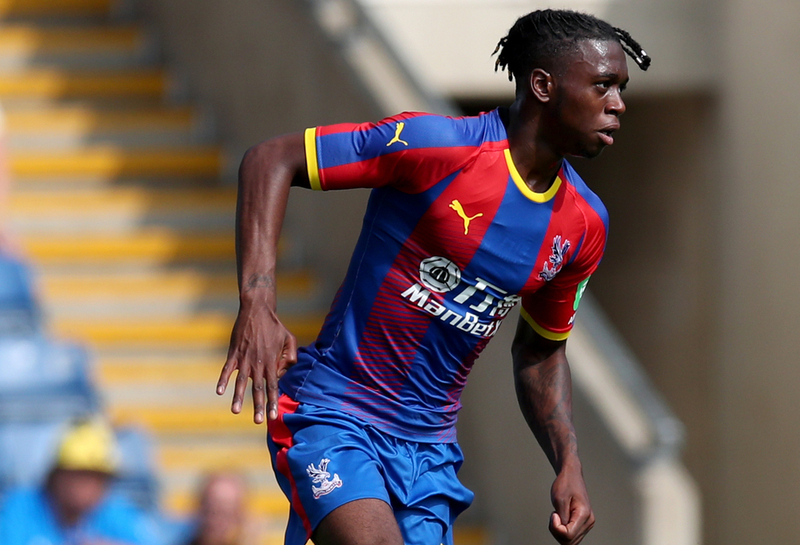 Crystal Palace have always been a side associated with counter attacking and pace on the break with the likes of Wilfred Zaha and Andros Townsend, but this year their defence has tightened up significantly and Wan-Bissaka has played a major role in that. They've conceded 41 times this year which is bettered by 8 teams in the PL, also the second best in the bottom half of the table. The rampaging runs of the attackers means that the onus on his defensive work is more important than ever and he's really flourished. No player across Europe's top 5 leagues this season has won more tackles than Wan-Bissaka, which is an incredible stat. Full-backs are one of the most important positions on the pitch in the modern game and to be able to do the defensive side so well is a major trait. But he isn't just a one trick pony, he's also a threat going forward which is shown by him recording 2 assists this season. He's already a fixture in the U21's and if he continue to deliver this consistency in the Premier League he's in with a great chance of making the step up very soon. Unfortunately for him though one thing that appears to have dented his hopes of breaking into the 24 man squad is England's extensive choice of full-backs. At right back Wan-Bissaka is competing with Kieran Trippier, Kyle Walker and Trent Alexander-Arnold for a spot so he certainly has his work cut out as the current squad proves. But if he can continue to deliver this level of performance he's in with a fantastic shout of breaking in and with age on his side, it's surely a case of when not if we'll see him representing the Three Lions. The final player who we think deserved a shot - or just a place in the squad - is Manchester City youngster Phil Foden. He may just be 18 years-old but he's someone who has an awful lot of talent and is extremely highly rated by Pep Guardiola at the Etihad Stadium which speaks volumes. He often comes under the spotlight due to his lack of Premier League starts, but he has featured in 22 games for the Champions so far this season which shows that he is trusted by the Spaniard. Foden may be small in stature but he's someone who fits the Pep Guardiola ethos, he's agile, technically gifted and has a real eye for a pass which could make him a fixture in both City's and England's midfield for years to come. He should slot in easily into the Three Lions' 4-3-3 system after playing it for his club side and is someone who has all the attributes to be the man who links up defence and attack, with his driving runs from midfield difficult to stop when he's in full flow. 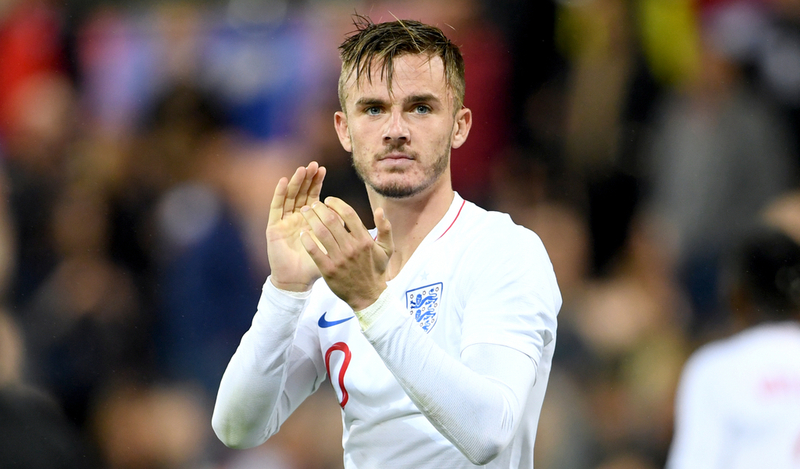 When England's midfield options are all fully fit he could find it tough to break into the senior set up but after the likes of Ruben Loftus-Cheek and Jordan Henderson pulled out he's definitely deserving of a call-up. 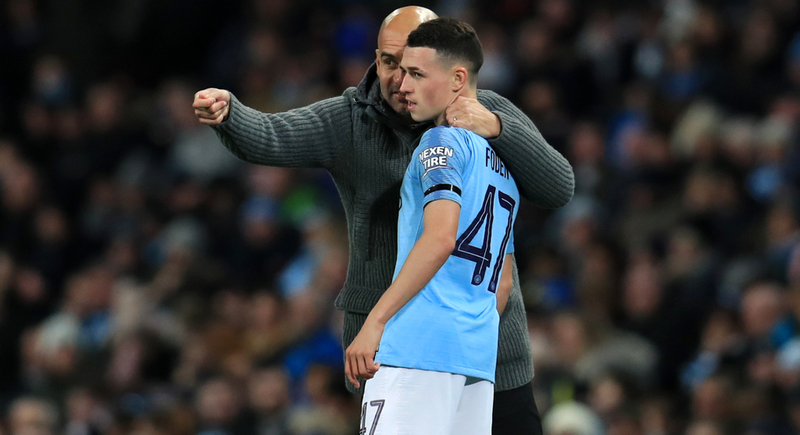 Foden adds something different to the engine room and learning from the likes of David Silva and Kevin De Bruyne day-in-day-out is only going to aid his development, so we're sure that he's someone that Southgate is keeping very close tabs on. Such has been his rapid rise over the last couple of years we often forget that he's just 18 years-old, which shows just how much progress he's made under Guardiola. His performances have earned him a spot in the England U21 squad for this international break but we're adamant in years to come he'll be a major fixture in the senior set-up if he's to continue developing at the rate he is.